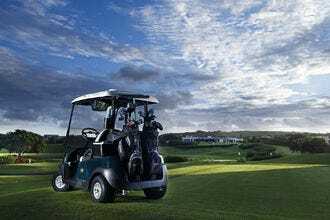 Laidback, fun, insanely beautiful – these are a few of the phrases you could use to describe the experience of golfing in the Caribbean, and there are more choices than ever for teeing off in the tropical sun. The Pete Dye-designed Old Quarry course at the Santa Barbara Golf & Beach Resort in Curacao affords views of both the Caribbean and the craggy limestone formations of Mount Tafelberg. The course itself is characterized by wide, rolling fairways, raised greens and a sense of seclusion thanks to separations between holes. 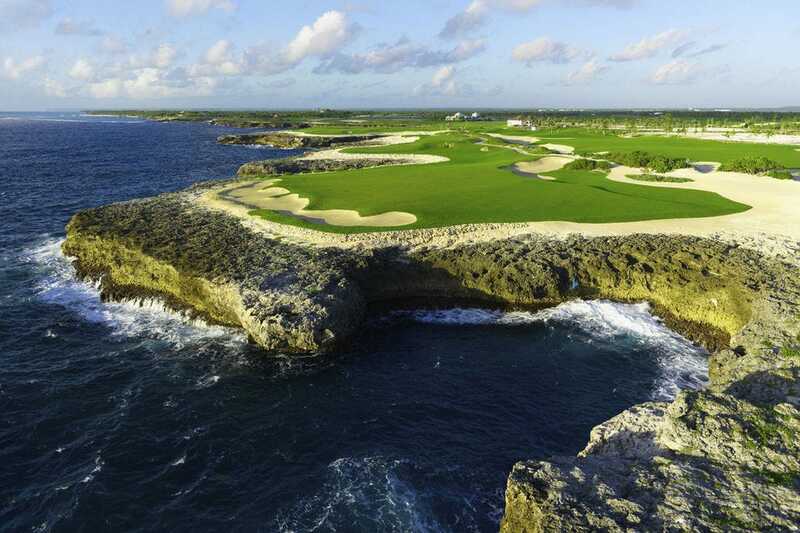 Carved from the natural rock and coral of the Dominican coastline, Teeth of the Dog is a Pete Dye signature 18-hole course with seven holes right along the ocean. 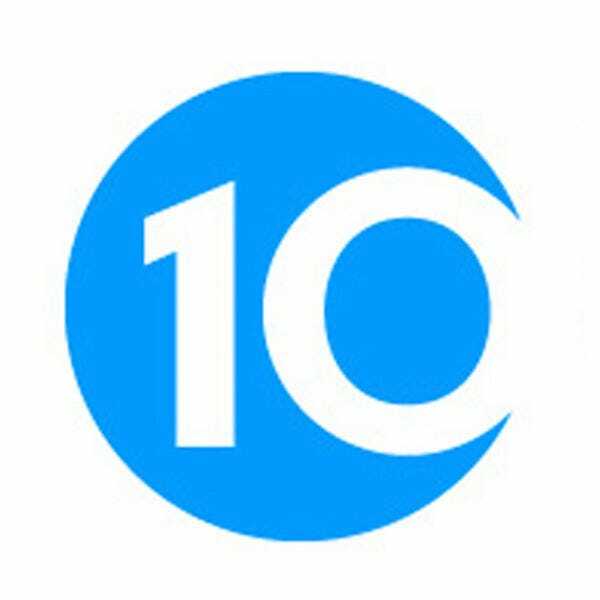 It's consistently ranked among the best courses in Latin America. 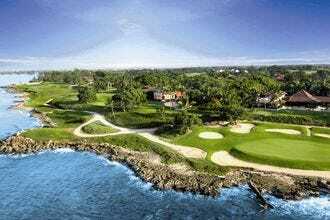 Punta Espada, a course designed by the legendary Jack Nicklaus, is a par-72 course that follows the natural contours of its coastal setting while offering spectacular ocean views. 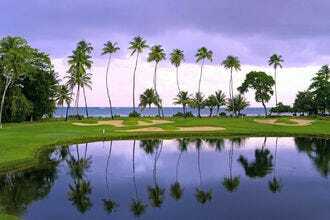 Its signature 13th hole is a memorable one, with a tee shot over the water to an island green. 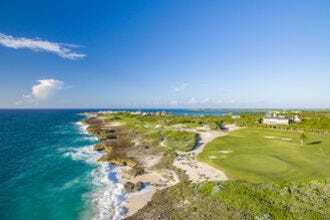 The Scottish style “tropical links” at The Abaco Club were designed by British course architects Donald Steel and Tom Mackenzie. Hugging the coast, the course features sloping greens, rugged rocks and lush vegetation, and golfers can polish their skills in the expansive practice facility. 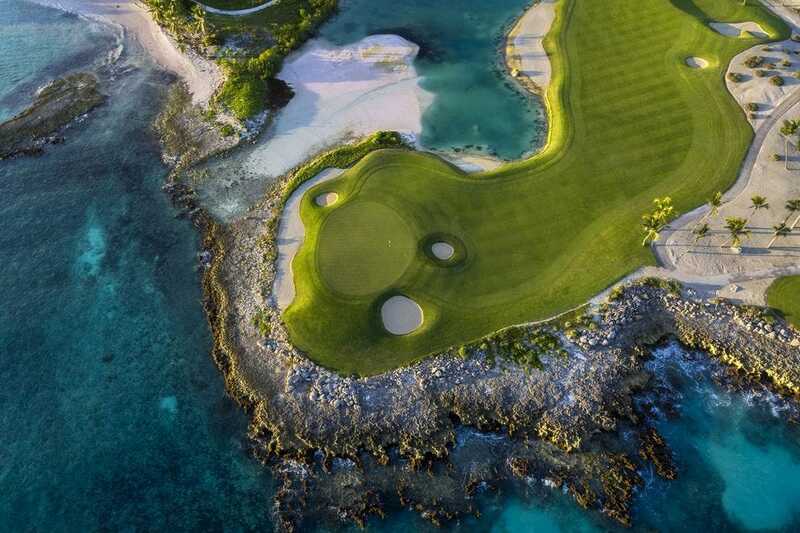 This natural, rugged championship course surrounded by the flora and fauna of the Turks and Caicos offers 18 holes of challenging "target-style" golf whilst maintaining a quick pace of play. Colorful native birds inhabit the many lakes, and the course has recently been re-turfed with salt tolerant Platinum Paspalum grass in an effort to be more environmentally conscious. Facilities include a full-service proshop, practice warm-up and chipping areas and Titleist club rentals. 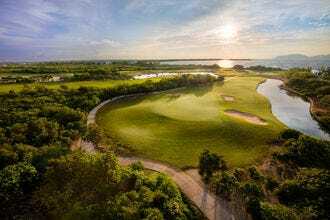 Opened in 2010, this Tom Fazio-designed course includes six oceanside holes, as well as abundant natural features, like cliffs, ocean coves and inland lakes. 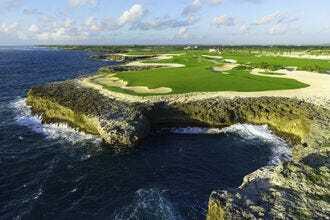 The last three holes, known as Devil's Elbow, involves a forced carry over the Bay of Corales. 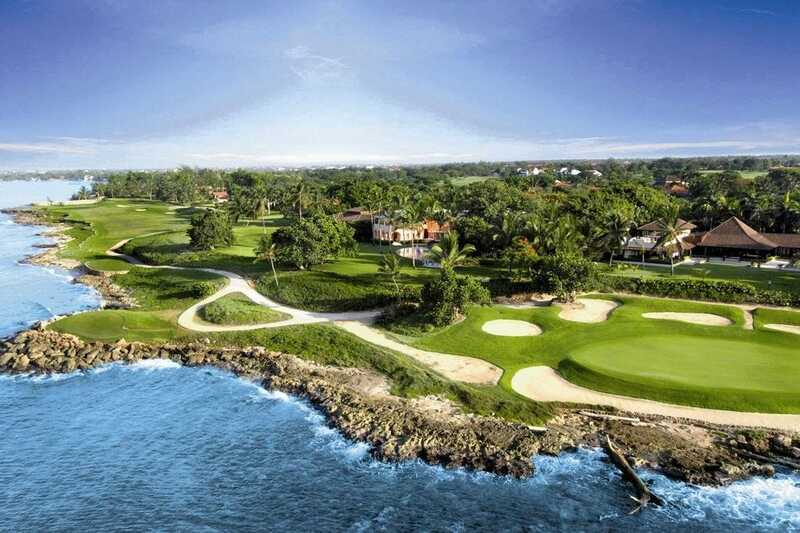 Five lakes, lush greens and impeccable fairways await golfers at The Country Club course at Sandy Lane. 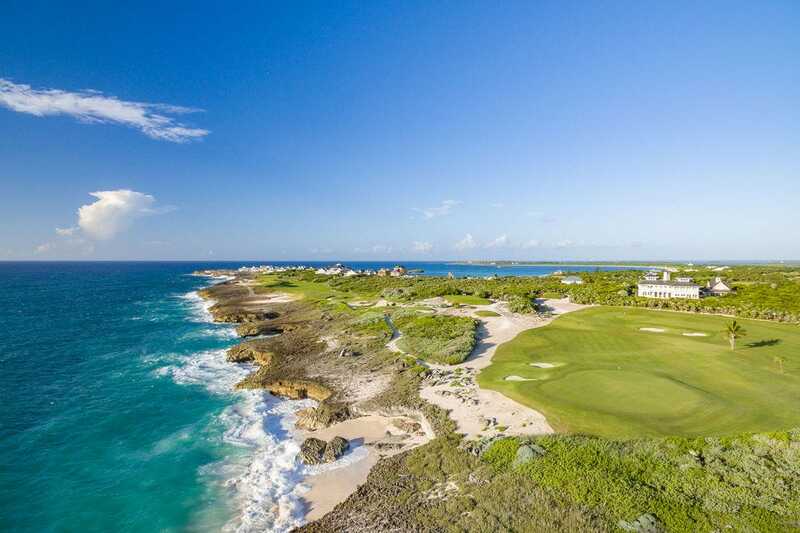 This par-72, 7,060-yard course from Tom Fazio offers incredible sea views from several holes. Blending elements of links and inland golf, Cinnamon Hill is a diverse course with seaside greens and holes set 350 feet above sea level. Situated on a former sugar plantation, the Von Hagee and Baril-designed course preserves the historic sites, flora and fauna of the historic Rose Hall estate. 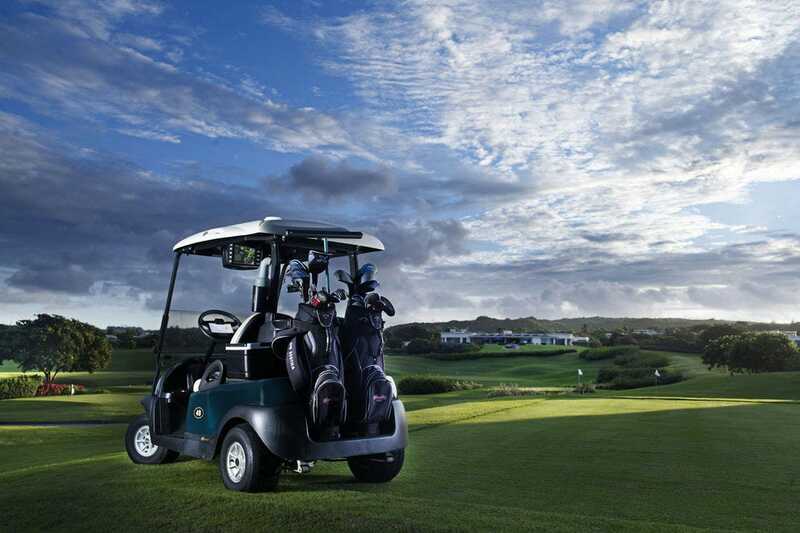 Players teeing off at the first hole of the CuisinArt Golf Club Course are greeted by stellar views of the Caribbean Sea and St. Maarten, and the next nine holes hug the Anguilla Channel. 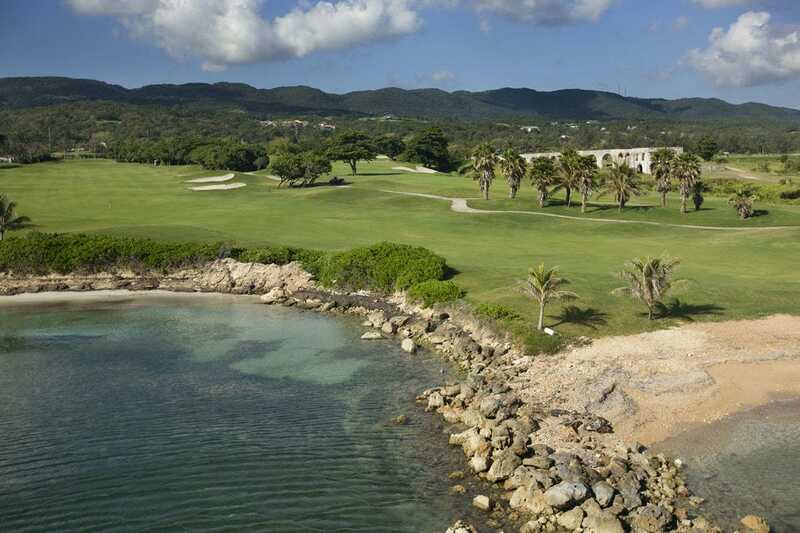 One of the signature landmarks of the course is its Merrywing Salt Pond. 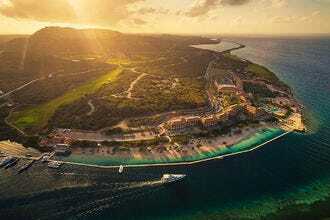 CuisinArt is slated to reopen after Hurricane Irma in November 2018. When Robert Trent Jones Jr. restored the East Course at Dorado Beach, he elevated it to one of the best courses in the region. Fifteen of the 18 holes enjoy ocean views, and the bunkers are filled with native sand harvested from the nearby beaches. Congratulations to all these winning golf courses!